Minerals are one of the four groups of essential nutrients that your body needs. Magnesium is one of those six minerals. Vital to your health, a magnesium deficiency can be seen in many ways. Here are 6 warning signs that you may need to increase your magnesium levels. Minerals are one of the four groups of essential nutrients that your body needs. Magnesium is one of those six minerals. Vital to your health, a magnesium deficiency can be seen in many ways. Here are 6 warning signs that you may need to increase your magnesium levels. Magnesium creates and transports energy through your body, so deficiency leads to fatigue. That’s why feeling tired and lethargic is one of the most common and earliest signs of magnesium deficiency. Doctors might not look into magnesium first because fatigue can be a result of so many factors, like living your busy life. Unfortunately, if magnesium deficiency is your cause, the tiredness won’t go away until you’ve nourished your body. Remember to always ask your doctor before starting a supplement routine. We all hate muscle spasms and cramping, especially when they pass the line of discomfort and are actually painful! As your magnesium deficiency progresses, you’ll notice that the cramping and muscle spasms may also increase. This could be a direct result of lacking the nutrient. If you get muscle spasms and cramps regularly, it could be a warning sign that your magnesium levels are too low. Try short-term relief by stretching and massaging your cramping areas, but also focus on eating foods rich in magnesium, vitamin D, vitamin E, and vitamin B complex. Doctors and scientists have studied the link between migraines and magnesium for years. In fact, almost half of the population with migraines have a magnesium deficiency! It’s not just a headache we’re talking about here. Light sensitivity, aura, muscle spasms, and insomnia are all overwhelming migraine symptoms. Blood vessels that are narrow one minute and expanding the next can cause migraine headaches and pain. Like a kinked garden hose, your body’s blood flow gets disrupted, and pressure starts to build up. When a magnesium deficiency causes your dizziness, it can last for hours or even a full day! Lower magnesium levels can give you similar feelings to vertigo, which not only causes dizziness but can leave you feeling entirely off balance. Your magnesium deficiency can develop over time, so your symptoms could begin as light dizziness and then progress to vertigo. If you’ve noticed a progression in your dizziness, it may be a warning sign of magnesium deficiency. If you’re experiencing life-altering dizziness, it’s worth a to visit your doctor. Increased confusion and irritability can be vital warning signs of a magnesium deficiency. You wouldn’t think something so simple could alter your life, but it can! Not only can the deficiency cause you to be more irritable and feeling out of sorts, but it can also lead to lack of sleep which can create a laundry list of issues, including mood swings. Now you will see your magnesium deficiency affecting your personal and professional relationships. If your mood or personality has noticed a sudden change, please consult your doctor and ask if magnesium could be the key to improving your quality of life. Insomnia can be a result of low magnesium in many ways. Warning signs previously mentioned can affect your sleep. For example, muscle spasms and cramping can lead to restless leg syndrome, and nausea and vertigo can keep you up, tossing and turning all night in discomfort. Then, your lack of sleep can result in moodiness and lethargy (symptoms we’ve already mentioned), and it becomes an endless cycle of illness. Are you ready to reduce the frequency and severity of your migraines? 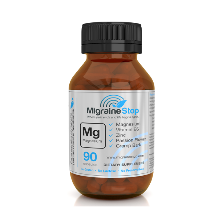 Save on Migraine Stop today to experience the power of our formula for yourself. 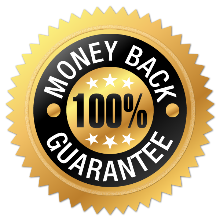 If you are not blown away by your results, we will refund your full purchase immediately, no questions asked. Use code MIGRAINE001 at checkout. Hate paying for shipping? So do we. What's better than Amazon Prime? 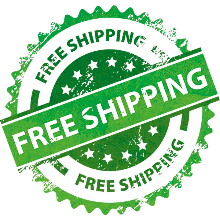 Free shipping always, with no extra fees.